Pfeiffer Vacuum is presenting extremely high compression models with its new HiPace 700 H turbopumps. With a compression ratio of ≥2·107 for hydrogen, they are suitable for generating high and ultra high vacuum. The ASM 390 and ASM 392 are leak detection solutions by Pfeiffer Vacuum used in the semiconductor and display industry as well as other demanding applications where rapid pump down and high sensitivity is key. Both models are Semi S2 compliant. With the new Pascal 2021 HW, Pfeiffer Vacuum presents the two-stage rotary vane pump with the highest vapor capacity in its class. Lecksucher mit Drehschieberpumpe, 15 m³/h Vorvakuum-Saugvermögen. Der ASI 35 ist extrem flexibel und leicht in Lecksuchsysteme zu integrieren. Die Komponenten können strategisch so positioniert werden, dass alle Vorzüge des Systems bei der Lecksuche genutzt werden: präzise und wiederholbare Ergebnisse unter Lecksuchbedingungen. 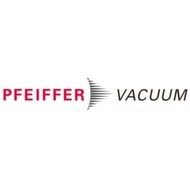 Pfeiffer Vacuum has opened its new production facility in Cluj, Romania. The new building has increased the production and service capacity for turbopump and backing pump components. Which Vacuum Pump Fits Which Chemical Process? The efficiency champion takes the price! Dry compressing screw vacuum pumps with a particularly high degree of efficiency in the chemical production are challenging liquid ring pumps. At first sight, it seems clear which principle leads the way. However, this may be delusional. With the new Pascal 2021 HW, Pfeiffer Vacuum presents a two-stage rotary vane pump with high vapor capacity. Pfeiffer Vacuum, in cooperation with The European X-Ray Free-Electron Laser (European XFEL), developed solutions ranging from vacuum pumps to leak detectors to vacuum components for many vacuum applications at the research facility. To tackle the challenge of handling processes in potentially explosive atmospheres or conveying explosive gases, Pfeiffer launches a new magnetically coupled pump. Better safe then sorry: The Duo 11 Atex rotary vane pump by Pfeiffer Vacuum, which meets Atex directive 2014/34/EU, is a reliable workhorse for processes taking place in potentially explosive atmospheres or conveying explosive gases and vapors. With the new HiPace 300 H, Pfeiffer Vacuum presents the most powerful compression turbopump currently available in the pumping speed class of 300 l/s. With a compression ratio of 107 for hydrogen, it is suitable for generating high and ultra-high vacuum. In order to operate vacuum systems with high precision, the total pressure must be measured reliably. For this purpose, Pfeiffer Vacuum's new Center Line pressure gauge series comes equipped with an analog output. Pfeiffer Vacuum presents the new two-stage DuoLine rotary vane pumps. The compact vacuum pumps are distinguished by a newly developed pump system and optimized cooling. These changes have a significant impact on the service lives of the pumps. What’s happening in terms of vacuum pumps? PROCESS has tracked down the current trends and latest developments. And one thing’s for sure: Producing “empty spaces” is and remains attractive.